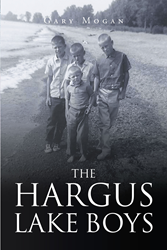 Recent release “The Hargus Lake Boys” from Page Publishing author Gary Mogan’s creative work is a powerful, character-driven novel about four, young, country, farm boys who are witnesses to unspeakable events, which profoundly change all of them. Gary Mogan, an experienced novelist and family man, has completed his new book “The Hargus Lake Boys”: a gripping and potent tale about four, inseparable brothers who fight to save themselves from an unknown killer after they witness the unimaginable while playing in the woods. Published by New York City-based Page Publishing, Gary Mogan’s suspenseful tale begins in the 1950s, in the woods around Hargus Lake, where four brothers witness a murder. The experience haunts them into adulthood. Fast-forward twenty years, where after their father and one brother are murdered and a second seriously wounded by an unknown murderer, they decide to secretly devise a plan to draw the killer back into an area where they know they can defend themselves, the deep woods surrounding Hargus Lake. Readers who wish to experience this gripping work can purchase “The Hargus Lake Boys” at bookstores everywhere, or online at the Apple iTunes store, Amazon, Kobo, Google Play or Barnes and Noble.